Self-publishing has exploded because of the Internet, not because brick-and-mortar bookstores are finally stocking self-published books. Today, more than half of all print books are sold online, as are nearly all the audiobooks and obviously 100% of all eBooks. Amazon services such as Advantage, SellerCentral (Marketplace), FBA, CreateSpace (now KDP Print), KDP, ACX. 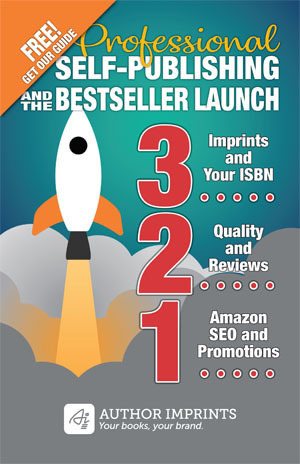 Other distributors or retailers such as IngramSpark, Apple, Barnes & Noble, Kobo, Google, Draft2Digital. Your own website to sell direct. Or if you printed your book traditionally—offset or digital, using a commercial printer—you have still more options. We assist you in establishing accounts in the name of the publisher (your imprint). We complete and optimize metadata. We consult on timing opportunities and considerations. We coordinate with your PR firm, or your own marketing efforts. We establish pre-ordering with stores that support it. We identify and explain financial considerations: royalties, margins, pricing, retailer and distributor discounts, offset print runs vs. POD cost of sales. We troubleshoot technical issues on your behalf. There are a range of other distribution options sometimes available to self-publishers, including distribution to libraries, schools, and physical bookstores, as well as international distribution. Complete the form below to contact us now. Or schedule a consult to review your specific options.